St. Nicholas Day is December 6th, just a few short days away. For those of you who don’t know, the true story of Santa Clause begins with St. Nicholas. He was born during the third century in the village of Patara. At the time the area was Greek and is now on the southern coast of Turkey. His wealthy parents, who raised him to be a devout Christian, died in an epidemic while Nicholas was still young. Obeying Jesus’ words to “sell what you own and give the money to the poor,” Nicholas used his whole inheritance to assist the needy, the sick, and the suffering. 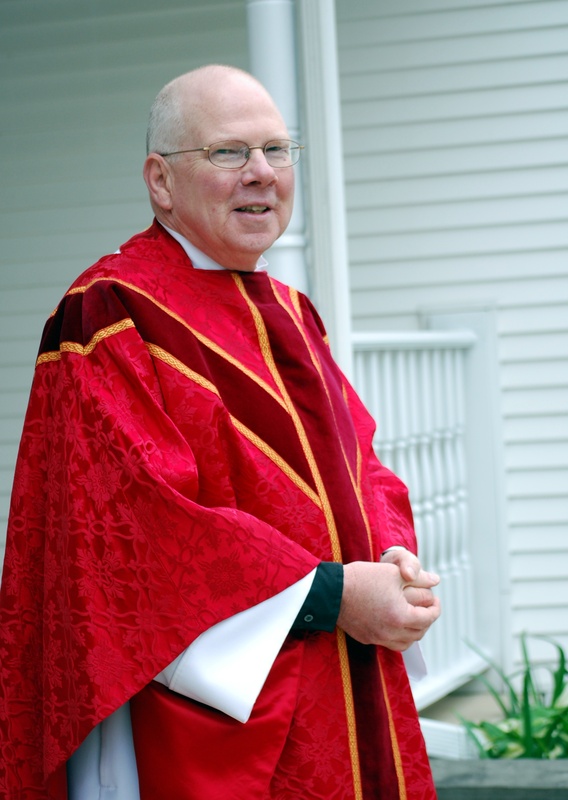 He dedicated his life to serving God and was made Bishop of Myra while still a young man. Bishop Nicholas became known throughout the land for his generosity to those in need, his love for children, and his concern for sailors and ships. One story tells of a poor man with three daughters. In those days a young woman’s father had to offer prospective husbands something of value—a dowry. The larger the dowry, the better the chance that a young woman would find a good husband. Without a dowry, a woman was unlikely to marry. This poor man’s daughters, without dowries, were therefore destined to be sold into slavery. Mysteriously, on three different occasions, a bag of gold appeared in their home-providing the needed dowries. The bags of gold, tossed through an open window, are said to have landed in stockings or shoes left before the fire to dry. This led to the custom of children hanging stockings or putting out shoes, eagerly awaiting gifts from Saint Nicholas. Sometimes the story is told with gold balls instead of bags of gold. That is why three gold balls, sometimes represented as oranges, are one of the symbols for St. Nicholas. When I was young my family traveled to Germany to spend Christmas with one of our exchange students Isa and her family. She had spent a year with us in America and they invited us to spend the holidays with them. While we were there they put out shoes on the doorstep on the eve of December 5th. This custom is common is some countries. They believe St. Nicholas comes on the 6th and leaves gifts in their shoes. I remember waking up in the morning and receiving chocolate and oranges in my shoes. Today marks the First Sunday of advent. Advent in Latin means “to come to”. Advent is a time to prepare our hearts and minds for Christmas. The time when our Lord Jesus came into this world and changed everything. He changed the way we treat others, the way we love, and he died for our sins so that we may have eternal life. To me, this manifests in the way I view this season. Although it is a time of secular traditions and gathering with family it is also a time to reflect on the miracle that was the virgin birth, the tale of having no room in the inn and the wise men traveling miles and miles to meet the new born king. Advent is a time of preparation, of waiting, of patience, and of reflection. Easter is eternal, the center of the liturgical year. But the liturgical year begins with Advent, the season farthest from it, the season that waits in ever-increasing darkness, waits for a light that’s not yet even born. This advent, I’d like you to imagine that you don’t already know how the story is going to end. You don’t have the luxury of knowing how it will all turn out. Of course you cant Un-know the story but, The liturgical year is time to imagine the story unfolding once more, to marvel at everything it is. In my house hold my parents used to hid presents around the house for us to find each day. Little trinkets for 24 days. We’ve also had advent calendars with chocolate inside. All of these things are to just small reminders everyday, They are there to bring you back to the season and meaning of Christmas. Back in Bishop Nicholas’ time, Christians were being persecuted by the Roman Empire. He suffered for his faith, was exiled and imprisoned for his beliefs. The Christmas season is a time of joy but in some traditions there is a connection between Advent and Lent. A time of suffering in preparation for our savior. The suffering comes from the idea that the world was suffering before Jesus. We were waiting for Jesus, for the good news, to come into our lives. Realizing how broken the world was before Jesus. The story of St. Nicholas reminds us of the generous selflessness of the holiday and also that we need Jesus in this world. This is true now more than ever. 10 minutes of the news is enough for me to know that the world is hungry for the love and compassion of Christ. Back where Im from I see lots of lawn signs saying “hate has no home here”. Maybe it should be saying “Christ lives here”. Christ and all that that means. Love, generosity, compassion, empathy, understanding lives here. Imago dei, the image of God. We are all made in it and we should emulate Christ in everything that we do.